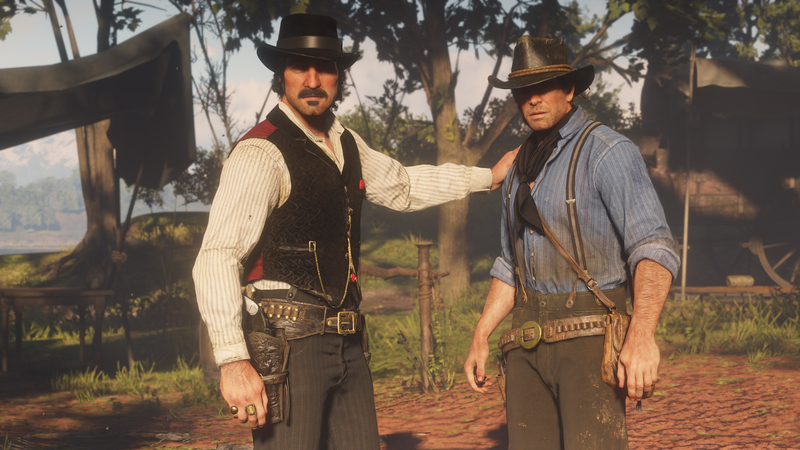 The newest update to the Red Dead Online beta is not only its largest yet, but it also has some exclusive features just for PS4 users. You should expect changes to be found all around the world, from new cosmetic items to gameplay tweaks, and more. However, the most notable part of this update (for this audience, at least) is the early access content coming to those playing Red Dead Online on the PlayStation 4. PS4 players can be the first to get their hands on the Jawbone Knife, a brand new melee weapon. True to its name, it’s made from the remnants of the jaw of an unfortunate animal. In addition to the knife, the PlayStation 4 is also the first to get three new emotes and a range of new clothes. PlayStation 4 will also be the first platform to get the new Special Series, which should go live in the next few weeks. The Open Target Races have you attempting to take out as many targets as possible while riding on horseback. This update brings plenty of other changes, as well. The most notable addition is no doubt the Daily Challenges. Each players will have seven challenges that rotate daily, and each one will give you a variety of rewards. Completing every challenge in a day will give you even more rewards, as well. There are also new Fishing Challenges to take on. In it, you can try your luck at getting the heaviest fish. Finally, players can get their hands on the brand new Rare Shotgun. New clothing and emotes are available now. There will be plenty of other new features for players to take on in the near future, like the all new Target Races. Three new Showdown Modes will also be introduced, known as Up in Smoke, Spoils of War, and Plunder. Are you still venturing through the wild west of Red Dead Online? Let us know what you think of these new update!